Haley Helfer -- Ruthie Ceausu reminisces on her experiences while studying abroad. Being immersed in a different culture, language and way of life may be frightening to most people, but studying abroad is something some students at California Baptist University choose to take part in and enjoy. There are different study abroad programs to choose from. Depending on course of study and price range, there are many options available. Summer, semester and year terms are all offered so more students can have their full experience. Your resume and leadership skills are also strengthened through an overseas experience, as well as being able to handle changing conditions appropriately, SallieMae claims. Studying abroad has the tendency to be seen as expensive, but there are financial plans available so that any- one is able to go. International Studies Abroad (ISA) and Cultural Experience Abroad (CEA) are both programs that CBU uses for those who would like to study abroad. These programs allow a student’s financial aid to be transferred over and applied to the study abroad school. CEA and ISA also offer scholarships and travel vouchers for those who apply early or qualify. The location, term and courses also affect the price. Brittany Mammano, sophomore, studied in Florence, Italy for the fall se- mester of 2011 through ISA. 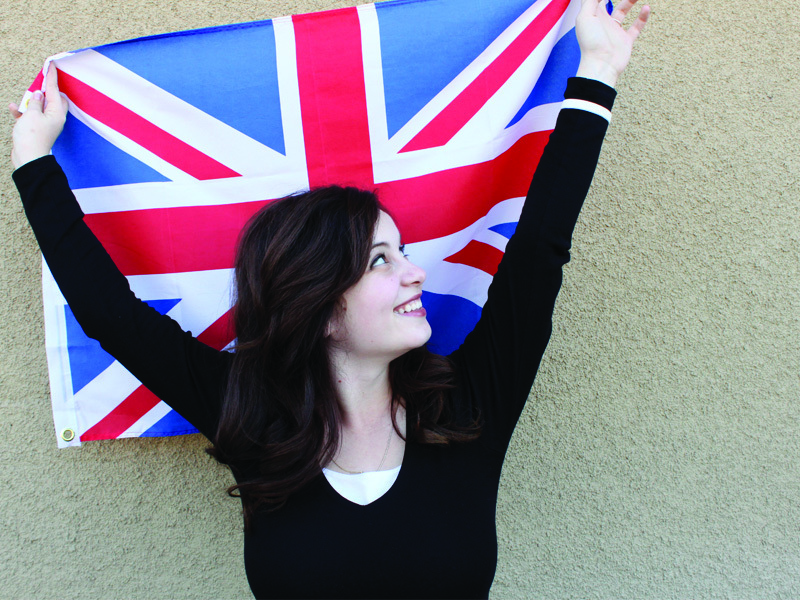 “For me, studying abroad didn’t cost too much more than CBU. All the extras I spent were for travel, food and every day liv- ing expenses. I used money from my savings that I had made over the years at a part-time job. Surprisingly, I was able to really budget well and come home without being broke!” Mammano said. There are many benefits to studying abroad, but that does not mean it is for everyone. Mallory Munroe, senior, trav- eled to Costa Rica through CEA during the summer term. “If you are a very scared person, then it’s probably not for you. Most people would probably like it though. If you enjoy freedom, fun, and trying new things, then you would love studying abroad!” Munroe said. Like most traveling, other negatives can include the possibility of lost lug- gage, stolen property and being around unpredictable people. There are also complications many would not think of until they are at their destination. “Homesickness, trying to get around where not everyone speaks English, learning how to use public transportation in Europe, and peanut butter is really hard to find!” Mammano said. CBU also offers International Service Projects (ISP), which are summer missions to a specific location. However, students who have studied abroad agree that they are much different than studying abroad, but are equally important. “More CBU people should study abroad. Many people go abroad for ISP trips, but studying abroad is so different and totally worth it! If you really have a heart for a specific area, study abroad there! The only way you will truly get to know an area or people group is if you live among them! Going somewhere with a big group of Americans for three weeks is a much different experience then living there independently for months! Trust me, I have done both, and I will always only preach study abroad!” Munroe said. To many who have done it, studying abroad is an enriching and unforgettable experience. It is not an easy process though; it takes a lot of paperwork and financial deadlines. “I had such an incredible trip and I want everyone to be changed like I was. But studying abroad isn’t really a last minute decision you can make. It requires immense preparation, and only those who are really dedicated will end up going through the whole process,” Mammano said.